Black is the new colour of choice! We agree with Dior’s quote. Black is an authoritative and powerful colour that can evoke strong emotions and can be worn at any time. Can this concept translate to built form? In the past black or any dark toned colours were associated with warehouses and industrial projects; this is no longer the case. Black can create very creative, layered and livable spaces. It’s an exciting and edgy colour that can transform a building or space from drab to fab. Out the door have gone some of those safer and more traditional colours for colours that will transform a building or an interior into an elegant, striking and powerful space that has a presence. Having lived in San Francisco for the last seven years this is where I initially took note of this popular trend. Just down the street from my home was a series of Victorian homes that had gone through a transformation simply by a colour choice. 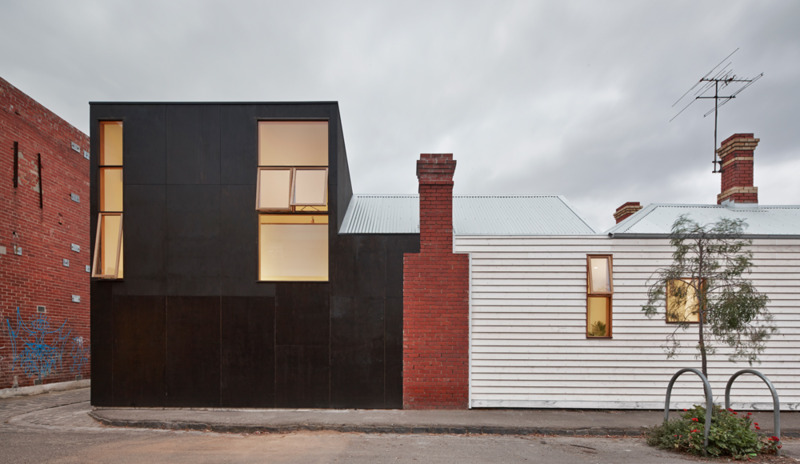 These wonderful Victorian facades become bold and striking by the colour they were painted – ‘Black’. What makes these examples stand out is that the colour was applied throughout the whole façade including siding, trim and window frames. Even the paint finish was the same, no features were highlighted with the finish (matt, gloss or semi gloss). Key features such as front doors, garage doors, balustrade and handrails are often treated differently to create a statement, which often illustrates the homeowner's personal style. Here as some San Francisco Victorian terrace examples. For some examples closer to home we absolutely love the following. What is exciting about some of these is that the dark trend has carried to interior spaces. These architects have pushed traditional expectations of bright and light filled volumes and opted for warmer and by default more intimate spaces simply by the use of colour. From a dark paint finish, to cabinetry, to fittings and fixtures it can all happen in unison and it works well together. The dark treatment applied throughout allows features to stand out or blend in where appropriate. A striking statement is definitely created but one that is homely and very welcoming. 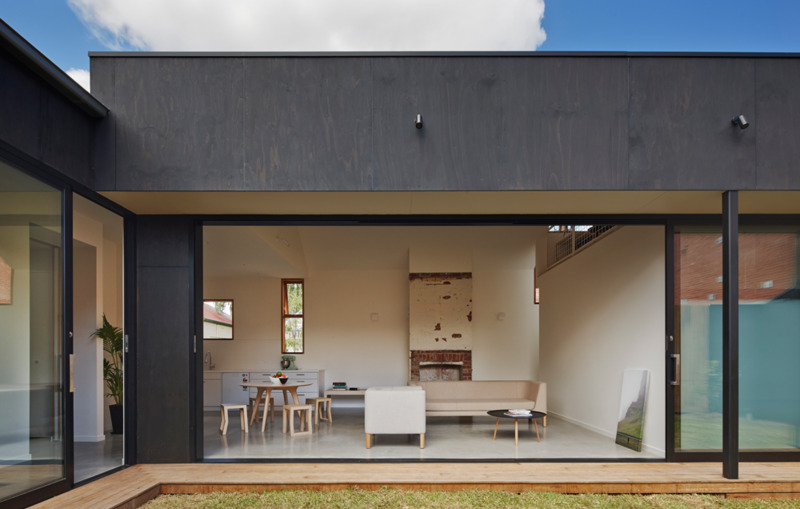 Local House by Make Architecture. Engawa House by Black Line X Architecture studio. So let us all be a little daring and rethink our paint selection for our next project. Maybe a dark colour is on the cards!